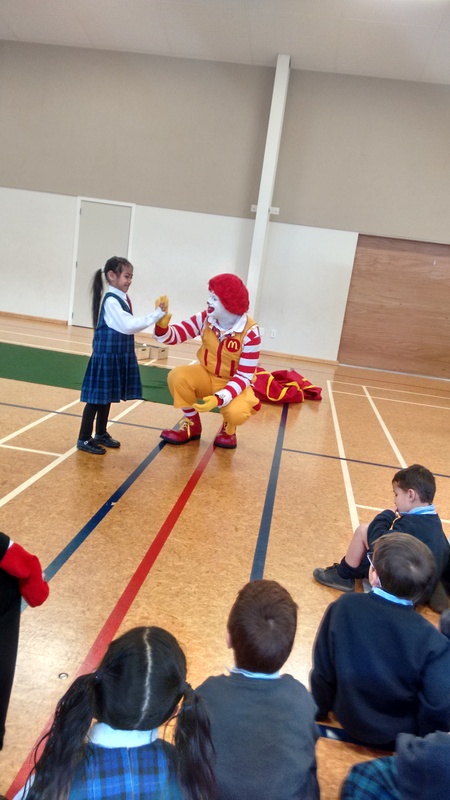 Today the Year 0/1s had a visit from Ronald McDonald as part of our learning about Road Safety and Road Patrollers. With the help of his trusty assistant, our own Miss Laing, Ronald McDonald shared the story of how he came to Holy Cross School to find his missing sock! We had so much fun and learnt lots about Road Safety too!